When little ones have solved the Easter-themed anagram, they’ll be in with a chance to win a fantastic family-friendly prize package worth over £250. So what are you waiting for? 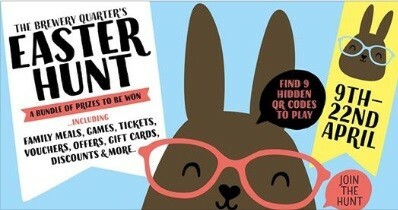 Hop to it and get on The Great Brewery Quarter Easter Hunt trail - the fun starts on Tuesday (April 9th) through to Monday 22nd April.